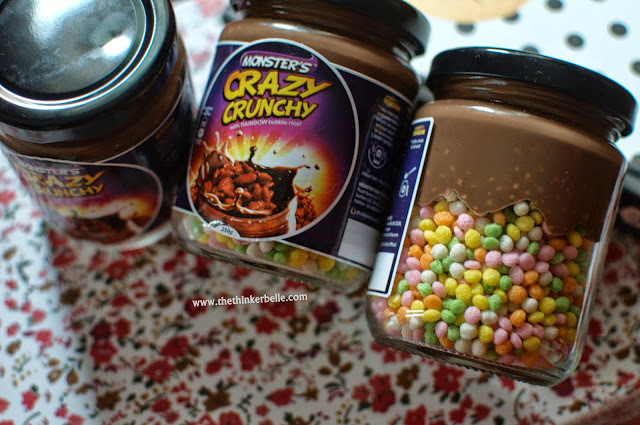 Snacking with Monster's Crazy Crunchy, Rainbow Version! So, I received a sweet surprise not long ago (literally) and they are Monster's Crazy Crunchy (MCC) Rainbow version , a snack that reminds me of the super old school snack in orange cup I used to love when I was little! But the MCC's version is like the premium one because oh my goodness the chocolate tasted so good!! 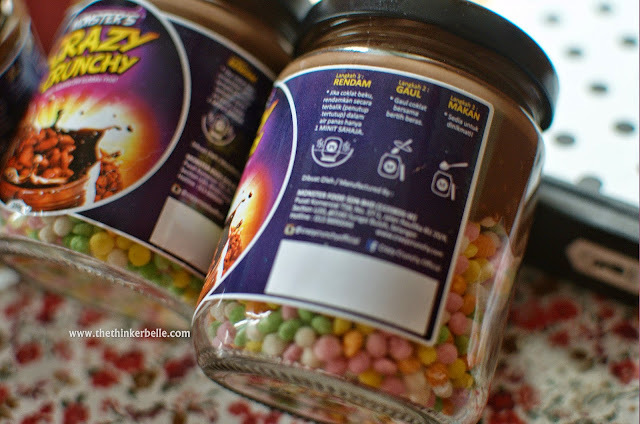 Colourful Rice Puffs and Lots of Chocolate! And now, despite being sent three jars I feel like I need to order more! You see, three jars of this deliciousness won't be enough especially when I have two brothers that loves chocolate as much as I do! Not just delicious, the rice puff are just so crispy and crunchy and it's really easy to eat too. All you have to do is to mix the chocolate with the super colourful rice puff. If the chocolate on top is a tad too hard, you can melt it a bit by soaking the top part of the bottle in warm water for a few minutes and voila, the chocolate shall melt as well as your heart! Drooling now? 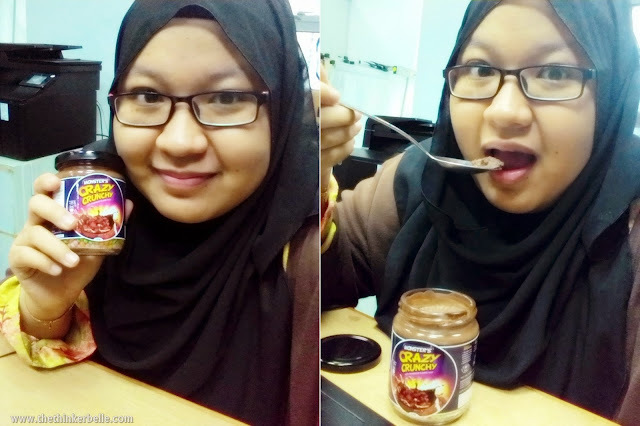 You can get this product by contacting the MCC Hotline at 013-889004 for RM7.00 per jar. 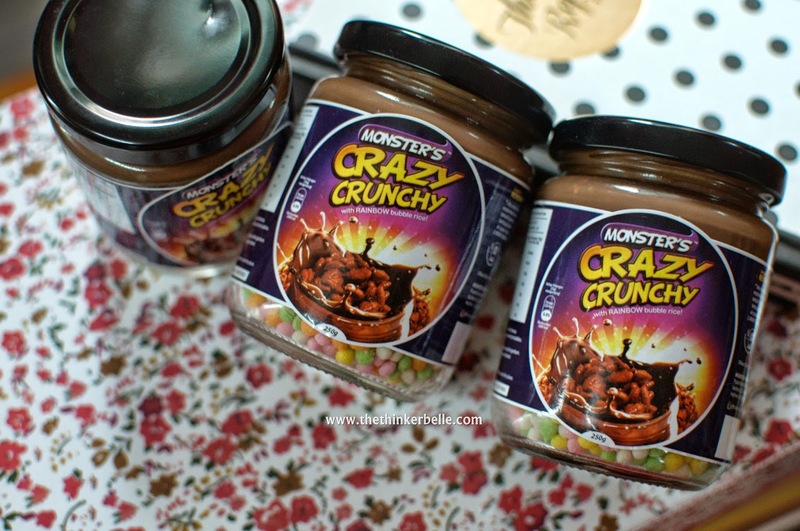 For more testimonial about the deliciousness you can check out their Instagram crazycrunchyofficial or website crazycrunchy.com to view their distributor list.